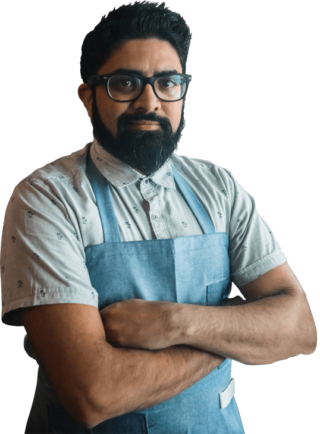 Chef Niven Patel, 2018 James Beard Award finalist and executive chef at Bollywood Bar & Clay Oven, is an innovator in modern Indian cuisine. Chef Patel traces his roots to the Indian state of Gujarat, where today he sources the spices used to create authentic dishes at Bollywood. It was at his first restaurant, Ghee (located in Miami) where he met Will Fernandez and Alex Sarria, the chefs due cuisine at Bollywood Bar & Clay Oven. For Will and Alex, being surrounded by Sonoma County agriculture is a constant source of excitement and inspiration.